Nokia 9 might come with a bezel-less design. 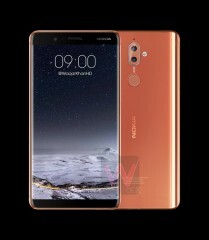 These Nokia 9 renders shows a hip bezel-less design. The image shows that the fingerprint scanner leaves the front and now is placed below the dual zeiss camera on the back which is nicely placed at center which will be easy to reach. 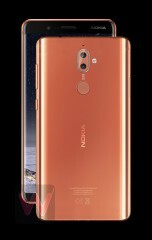 Also the reders shows that the Nokia 9 have AMOLED display with a curved glass. 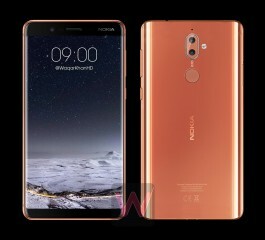 GFXBench claims that the screen will measure 5.3 inches, same as the Nokia 8. The company hinted that Nokia 9 will have a big screen but we assume that it will be 5.5″. The processor will likely to be a Snapdragon 835 (an 845 is a distant possibility). The camera might be the same as Nokia 8. 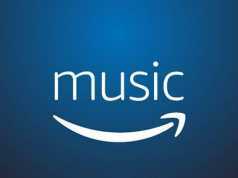 The Nokia 9 will cost €750 when it comes out (when that will be is unknown). It will be waterproof (IP68), unlike the current Nokia 8 flagship.